MultiSport is fully Responsive Sport WordPress Theme. It comes with fresh design and nice color scheme, especially suitable for sport related website or blog such as online sport magazine, trainer portfolio website, gym equipment reviews, sport club website, etc. 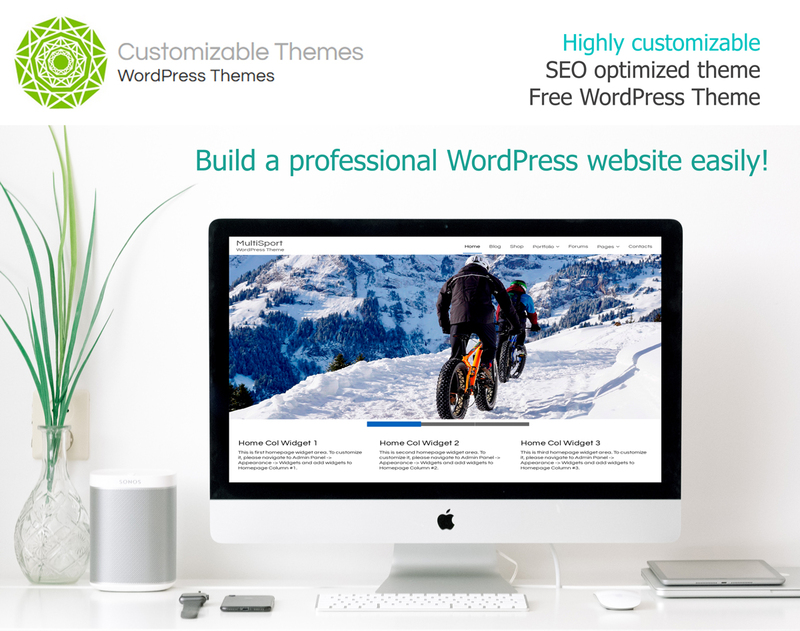 Features: Custom Logo, Custom Background, Footer copyright text customizations, Widget Areas: Sidebar, 3 Footer Columns, Built-in Slider, Translation-Ready and much more.